Dietary supplement*. No fishy aftertaste* DHA/EPA. Mercury Free*. 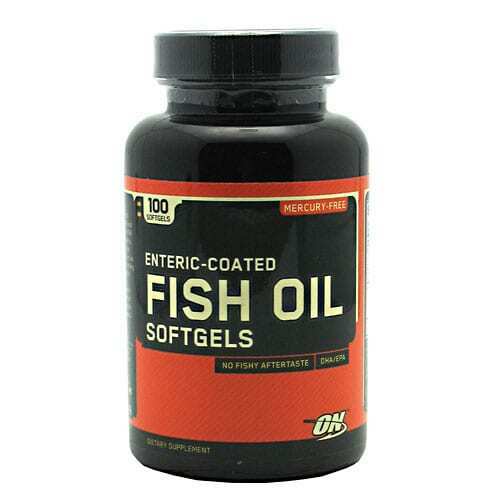 The Bigger Picture of Fish Oils: Fish Oils contain long-chain fatty acids*, including Docosahexaenoic acid (DHA) and Eicosapentaenoic acid (EPA)* DHA and EPA are essential fats that cannot be made by your body*. So, consuming them through foods like salmon and supplements such as the Optimum Nutrition Fish Oil Softgels that you are holding in your hands is the only way to get DHA and EPA* Our Fish Oil Softgels are mercury-free and enteric-coated*, which means that you get all of the benefits of fish oils without the fishy aftertaste that you might encounter without this special coating*. Great source of Omega 3 fatty acids*. Carefully manufactured in the USA. 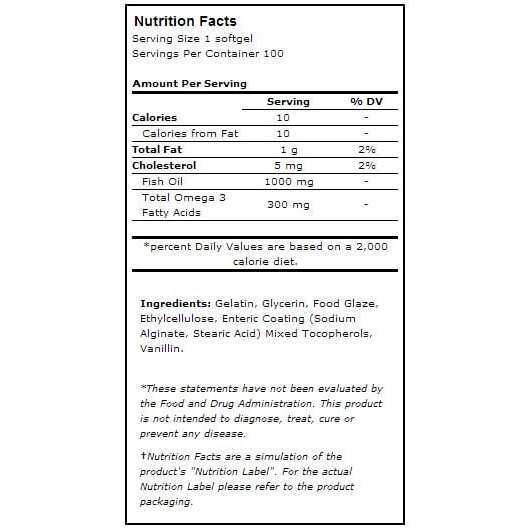 Directions As a dietary supplement, take 1-2 softgels, up to 3 times daily, with meals*. Store in a cool, dry place. Warnings Check with a qualified healthcare professional before taking this product if you are pregnant, nursing a baby, under 18 years of age, or if you have any known or suspected medical conditions and/or are taking any prescription or OTC medications. Allergen Information: Contains fish (anchovy, mackerel, sardine) ingredients*. Keep out of reach of children.